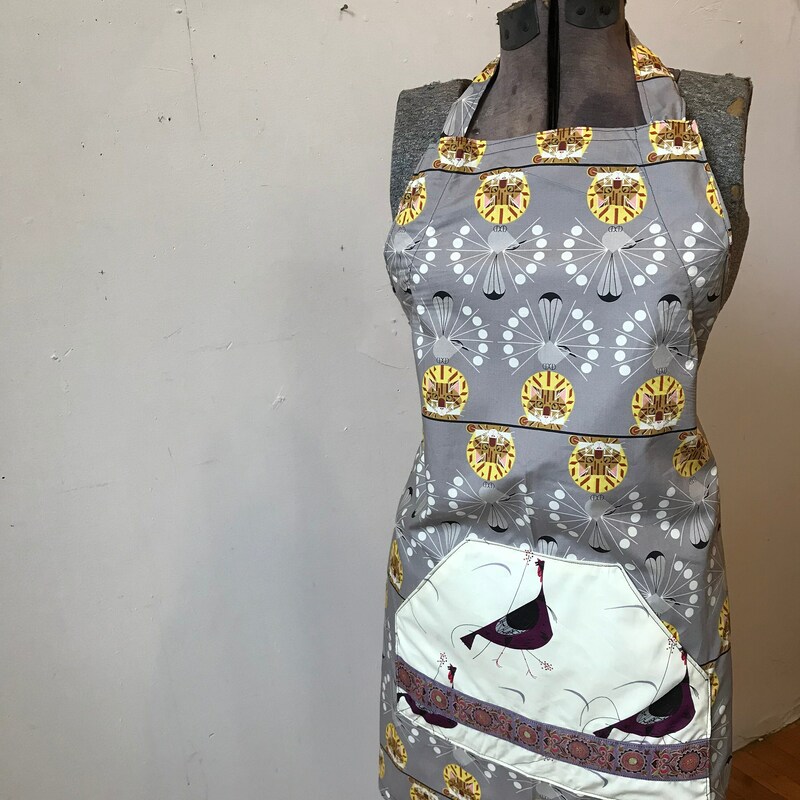 I have been trying to figure out how to make a fully adjustable apron with no hardware! 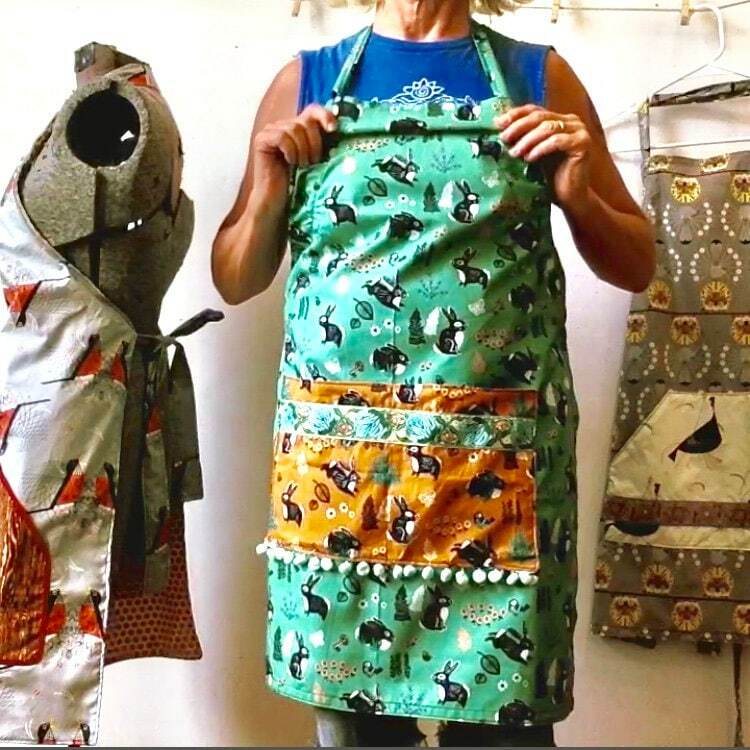 I remember having a slip through bib apron many moons ago and I finally figured it out! ! 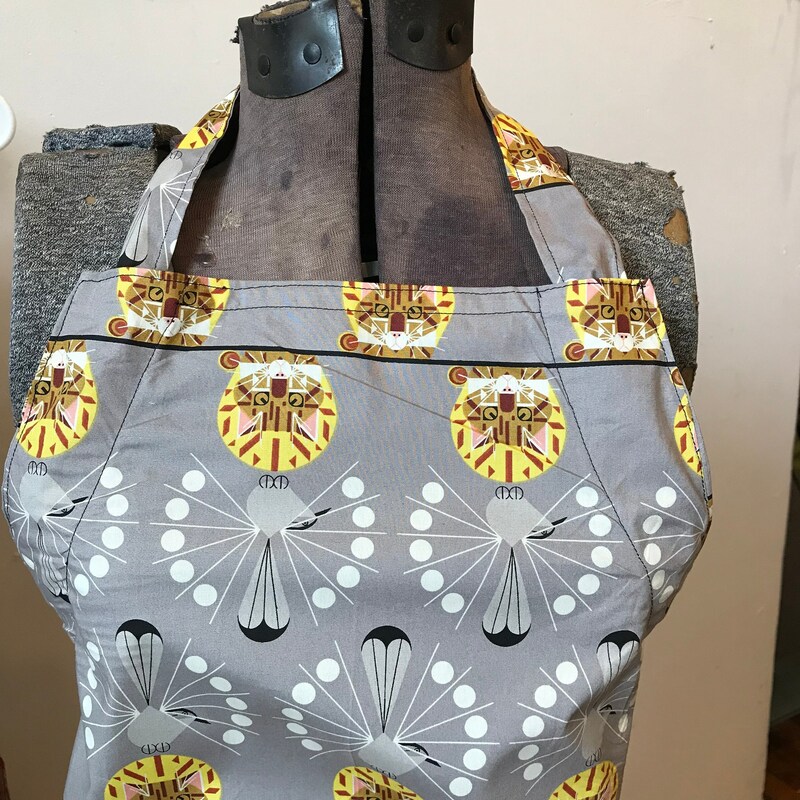 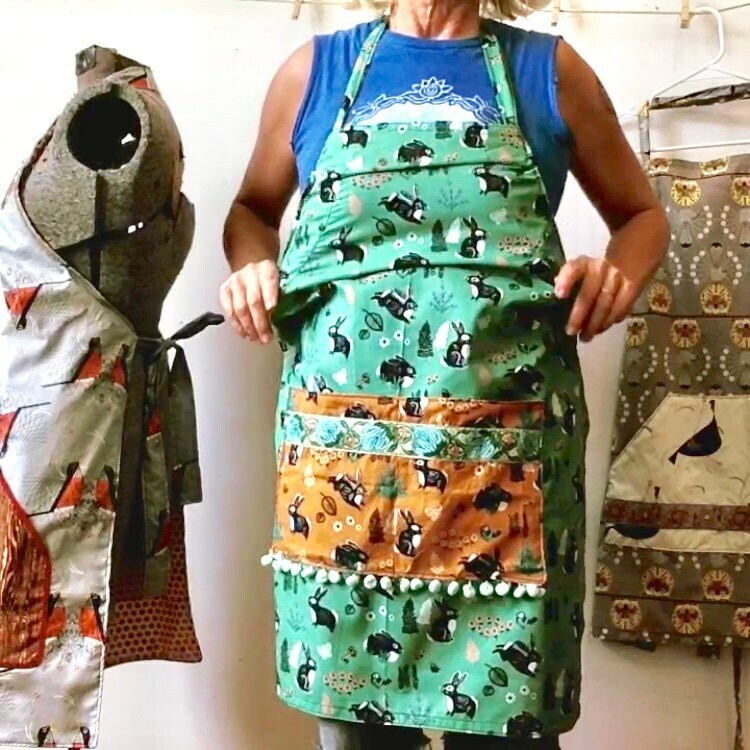 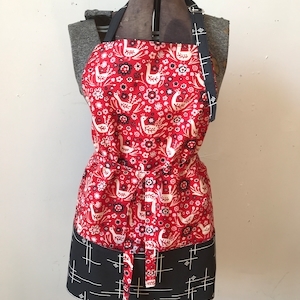 Using my own pattern, I've created a fully adjustable bib apron that simply works by adjusting the bib to the height you want and then tying at the back. 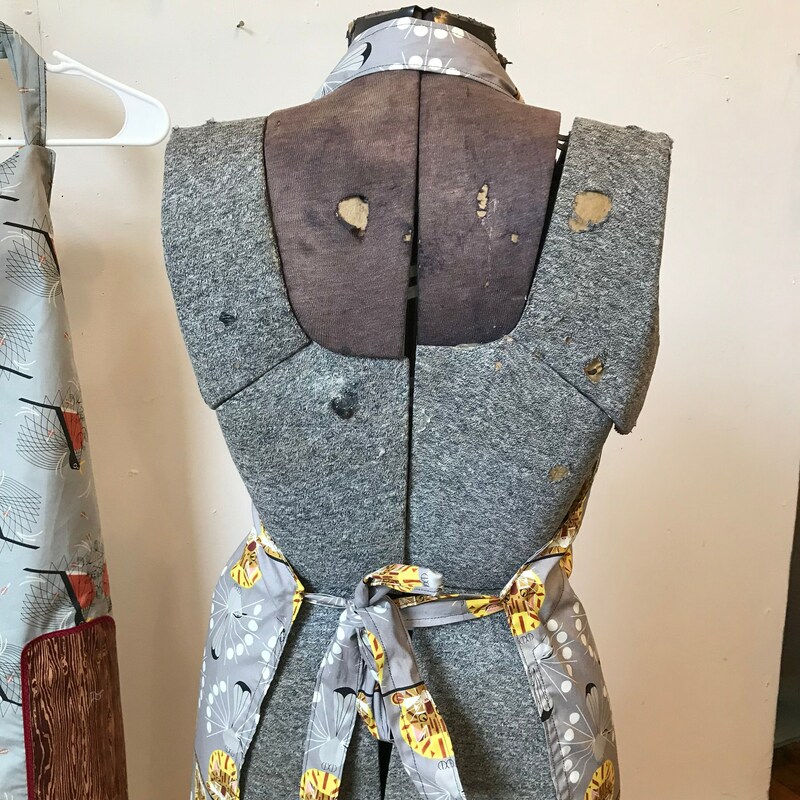 Its one long strap that works as your back ties as well as your next strap. 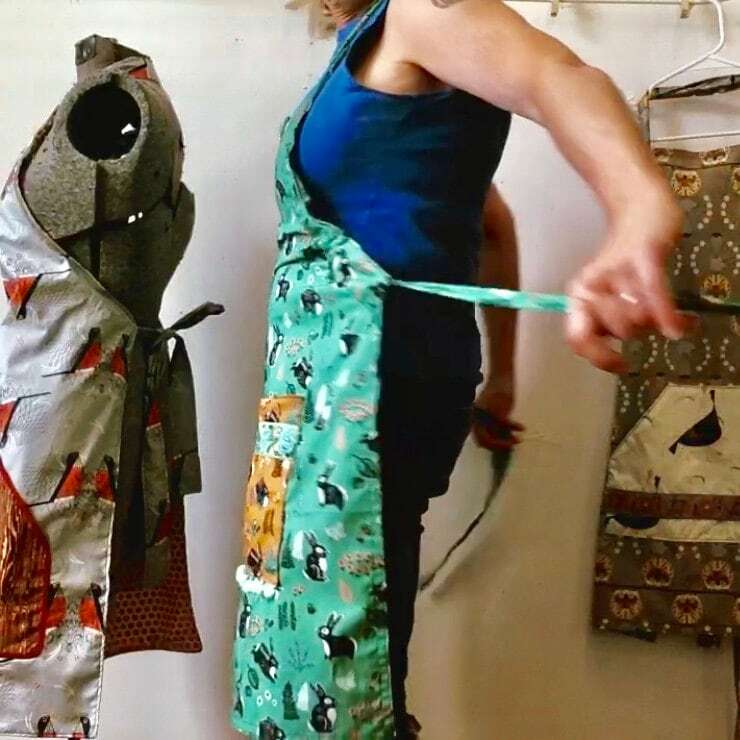 Best part, no hardware , or knot, or bow at your neck! 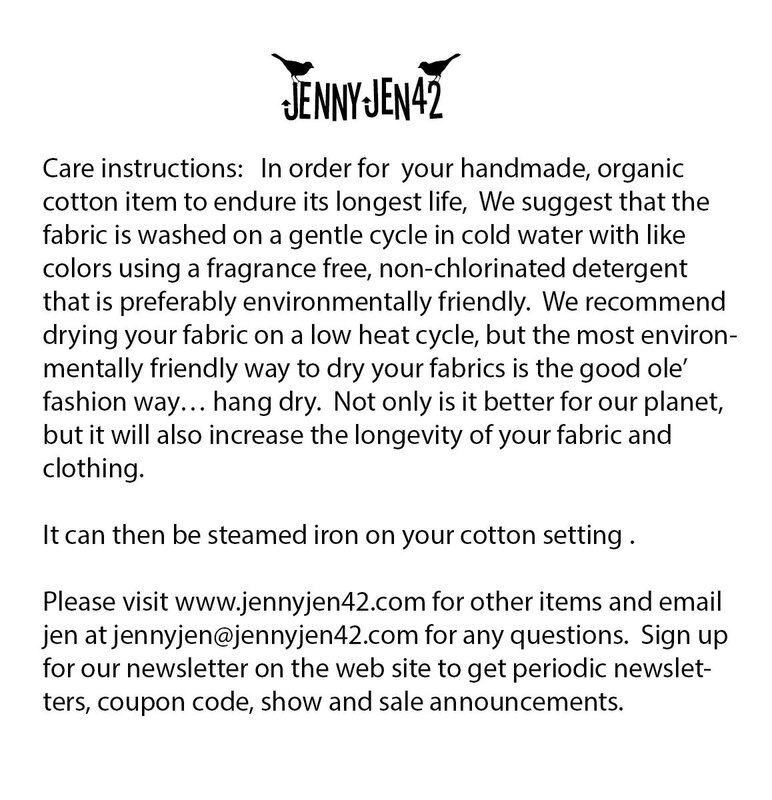 So its very comfortable. 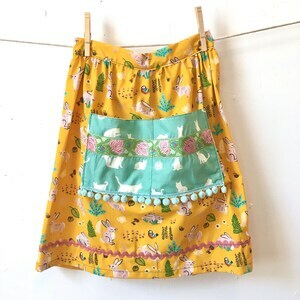 And it can easily be shared since you can easily adjust it when you put it on! 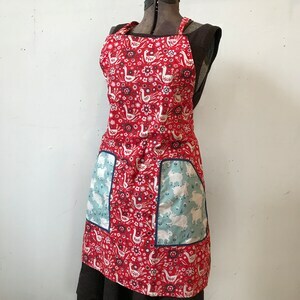 This apron is not reversible, but still a great way to protect your clothing when baking, cleaning or gardening! 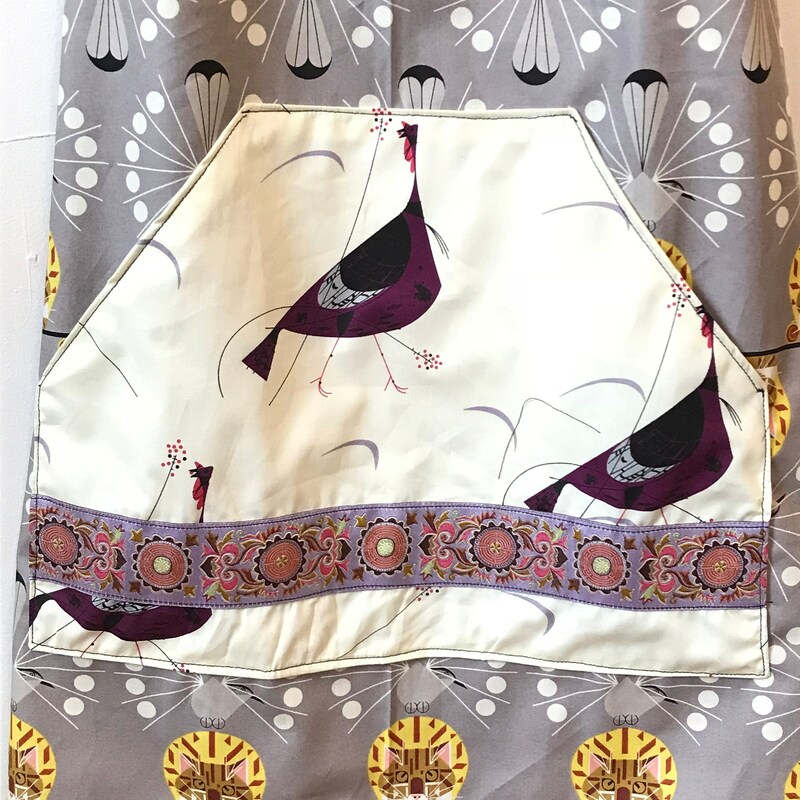 The kangaroo pocket on the front has a beautiful silk ribbon sewed into it for a little bling and decor. 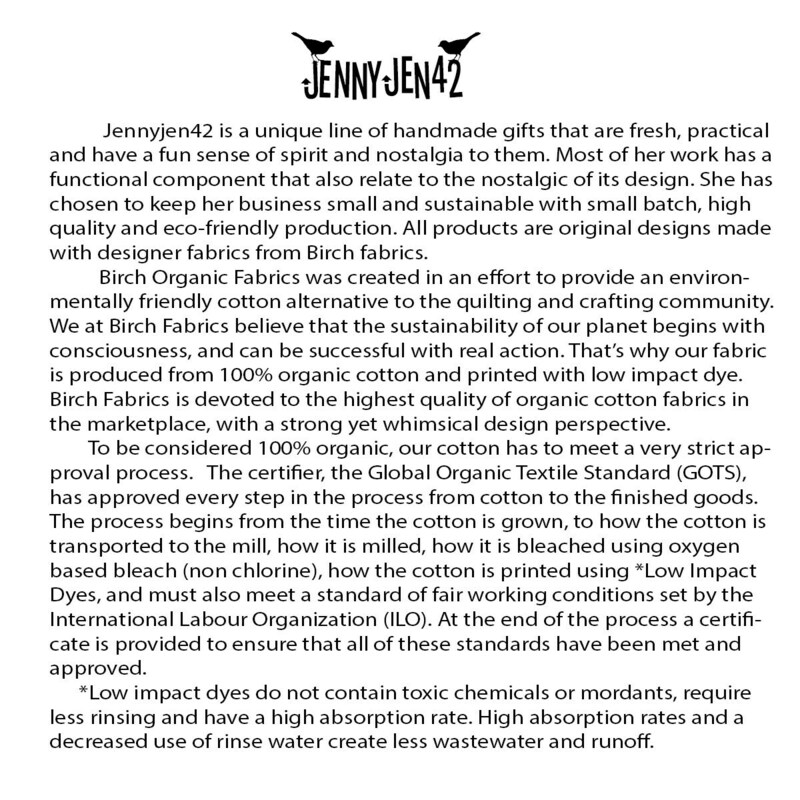 Fabric is organic fabric for Birch Fabric that boast eco-friendly printing process to its certified organic cotton. 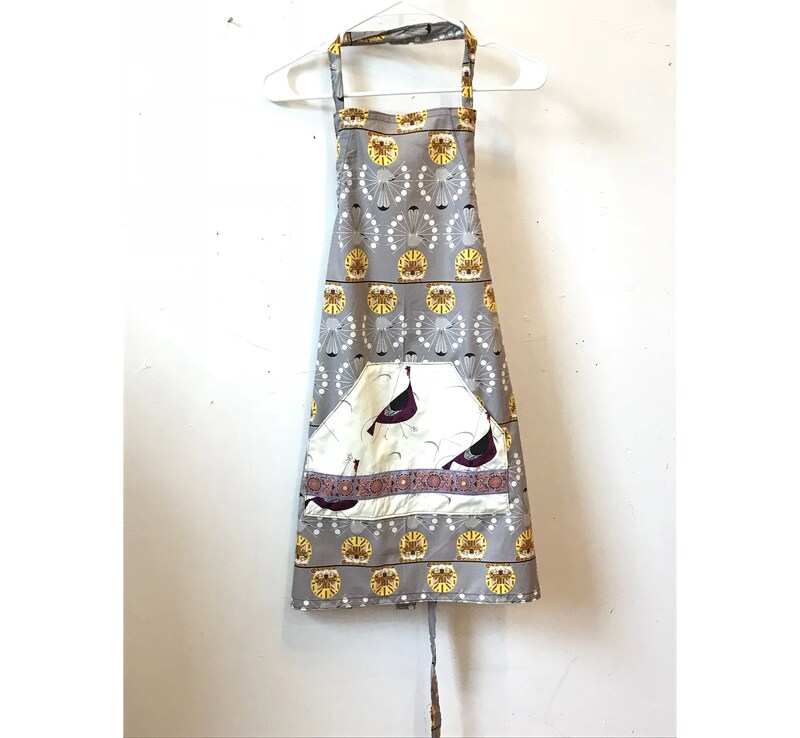 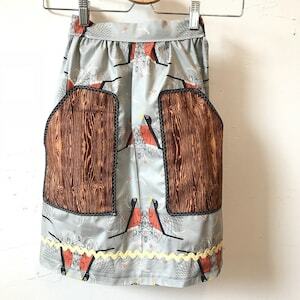 This apron featured two different fabric for the Charley Harper fabric line.